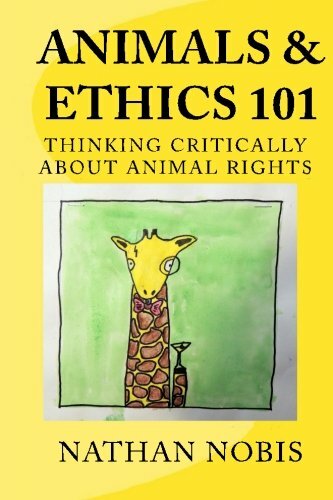 "Carl Cohen's ‘kind’arguments FOR animal rights and AGAINST human rights." Journal of applied philosophy 21.1 (2004): 43-59. "Tom Regan on ‘Kind’ Arguments Against Animal Rights and For Human Rights," in The Moral Rights of Animals, ed. Engel and Comstock (Lexington, 2016). Tom Regan argues that human beings and some non-human animals have moral rights because they are “subjects of lives,” that is, roughly, conscious, sentient beings with an experiential welfare. A prominent critic, Carl Cohen, objects: he argues that only moral agents have rights and so animals, since they are not moral agents, lack rights. An objection to Cohen’s argument is that his theory of rights seems to imply that human beings who are not moral agents have no moral rights, but since these human beings have rights, his theory of rights is false, and so he fails to show that animals lack rights. Cohen responds that this objection fails because human beings who are not moral agents nevertheless are the “kind” of beings who are moral agents and so have rights, but animals are not that “kind” of being and so lack rights. Regan argues that Cohen’s “kind” arguments fail: they fail to explain why human beings who are not moral agents have rights and they fail to show that animals lack rights. Since Cohen’s “kind” arguments are influential, I review and critique Regan’s objections. I offer suggestions for stronger responses to arguments like Cohen’s. Tom Regan famously argues that some non-human animals have moral rights that make it prima facie wrong to eat, wear, or experiment on them or use them for other purposes that seriously harm them. Regan’s moral hypothesis is that beings who are “subjects of lives,” that is, roughly, conscious, sentient beings with experiential welfares, have a basic moral right to respectful treatment which supports, at least, moral rights to life and bodily integrity. Regan’s hypothesis concerning the basis of moral rights is supported, first, by its justifying the common view that a wide range of human beings have moral rights and, second, by its plausible explanation why human beings have rights or what makes them have rights: human beings have rights because they are conscious, sentient, psychologically unified beings whose lives can go better and worse for them, from their own point of view. This is true whether the individual human being is a genius or is mentally challenged, autonomous or dependent, accomplished or not. For human beings who have psychologies such that they can be harmed, that is, made worse off from their own point of view, basic moral rights make inflicting such harms prima facie morally wrong. Regan’s simple genius is to observe that many animals also have psychologies that make them subjects of lives and so the best explanation why human beings have rights applies to many animals: since human beings have moral rights because they are subjects of lives, then so do any animals who are subjects of lives. Thus, mammals and birds, perhaps vertebrates generally (and perhaps some invertebrates, if science reveals their mindedness) have basic moral rights. That is, unless there is good reason to believe otherwise. Is there? One way to object to Regan’s case for animal rights is to argue that nobody, including any human beings, has moral rights. This objection is not popular insofar as most people confidently believe, with good reason, that human beings have basic moral rights. Another way is to argue that no animals have psychologies that make them subjects of lives. This strategy, however, goes against the scientific current that supports belief that many animals have cognitive, emotional and social lives that are more sophisticated than anyone expected. This leaves the strategy of arguing that Regan’s theory of rights is mistaken. This objection is not that Regan is mistaken in thinking that human beings have rights, but that Regan does not correctly identify what it is about human beings that makes them have rights: human beings have rights but not because they are subjects of lives: human beings have rights because of some other property or properties they have, which animals do not have and so, although human beings have rights, animals do not. Carl Cohen has repeatedly developed this objection to Regan’s arguments. Cohen appears to accept what might be called a moral-agency-based theory of rights: human beings have moral rights because they are moral agents, that is, they are able to think in moral terms, use moral concepts, make moral evaluations, and choose to act for moral reasons. Moral-agency-based theories of rights are variants on what might be called rationality-based theories of rights, since a sophisticated kind of rationality, which animals lack, is required for moral agency. Cohen argues that animals do not, indeed cannot, have rights because they are not moral agents. Cohen insists however, that non-rational human beings – babies, severely mentally and/or emotionally challenged individuals, the senile, and other non-rational human beings – nevertheless have moral rights on his theory, despite their lack of moral agency. Call this the “right kind” premise. Combined with the claim that all human beings and no animals live lives that are “essentially moral,” we have an argument that we can call the “kind argument” for the conclusions that all animals lack rights and all human beings have rights. Since these claims can be separated, we might see these as two “kind” arguments, one for human rights and another against animal rights. Regan argues that these “kind” arguments fail: they fail to show that animals lack moral rights and they fail to show why human beings have rights because the “right kind premise,” shared by both arguments, is faulty. Here I review Regan’s responses to these “kind” arguments, beginning with simpler objections and later discussing his most philosophically rich objections. Since these “kind” arguments are influential, it is important that these arguments be evaluated rigorously. I offer suggestions for where Regan’s responses can be strengthened. These observations help us understand the why we might think that human beings, or their lives, are “essentially moral”: this is, arguably, a defining capacity for what it is to be a human being or live a “human life.” This interpretation would support a common thought that a human baby, and even a seriously mentally disabled baby, is the kind of being that is an “essentially moral” being but that a pig is not an “essentially moral” kind of being, and neither is any other animal. To put it another way, this interpretation of what it is to be an “essentially moral” being supports thinking that a correct answer to the question, “What kind of beings live lives that are essentially moral?” is ‘human beings’ and that an answer ‘chickens,’ or any other animals, would be incorrect. This interpretation supports Cohen’s premises that all human beings, even those who are not moral agents, are this kind of being and that no animals are, which are essential to his kind arguments about animal and human rights. While Regan later challenges this way of understanding Cohen’s claim, arguing that it is false that all human beings are “essentially moral,” or have essentially moral lives, the first objection I discuss accepts this as true about human beings. Individuals have rights if they are the kind of being whose lives will be, have been or remain essentially moral. This premise would leave open the question of whether beings that are not “essentially moral’ beings might have rights. But this isn’t Cohen’s premise, which offers sufficient and necessary conditions for having rights. So, Cohen’s conclusion does follow from his premises, logically (which, of course, does not mean that his argument is sound or any of his premises or his conclusion true). This objection misfires. A second objection Regan has to Cohen’s “right kind” argument for human rights is directed at Cohen’s premise that all human beings are the (or a) kind of being whose lives are “essentially moral.” Regan argues that Cohen fails to show this, and so fails to demonstrate that non-rational, non-moral-agent human beings have rights. Regan argues that, in making the claim that all human beings are the kind of beings are moral agents, Cohen commits something like the fallacy of division, which is to falsely attribute properties of groups or collections to each of the members of those groups: e.g., even though some car weighs a ton, it does not follow that each part of that car weighs a ton, even though a sports team can accomplish some task, it doesn’t follow that each player alone can accomplish that task. 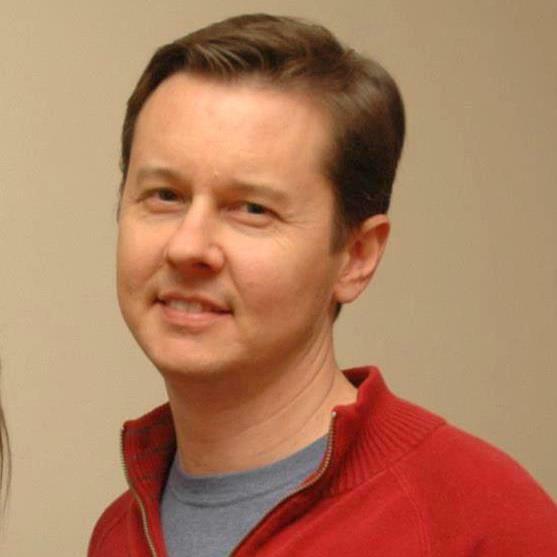 Regan argues, analogously, that even if human beings, as a group or class, are “essentially moral,” it does not follow that each individual human being is “essentially moral.” He gives the example of anencephalic infants, babies with a brain stem but no brain, as human beings that are clearly not essentially moral, since they are unable to be conscious, given their condition. Regan says that if we consider these human beings “essentially moral,” we might as well also say that they have “intellectual curiosity, aesthetic preference and long-term plans about their futures.” Since all these claims would be false, Regan concludes that it is false that these infants also are essentially moral. Since Cohen’s defense of the rights of non-rational human beings who are not moral agents defends on the claim that they are “essentially moral,” Regan argues that Cohen’s defense fails. Thus, this objection does not seem to refute Cohen’s claims that human beings are a “kind” of being that is essentially moral and that animals are not that kind of being. To do this, and to be in a position to potentially refute Cohen’s “right-kind” premise, we need to look more carefully at the nature of kinds. Regan’s next objection sets us up to do just that. V. Third Objection: False Implications for Rational Moral Agent Extraterrestrials? In the essay “Mapping Human Rights” in Defending Animal Rights, Regan explicitly argues that the “right-kind” premise is false (pp. 79-80). His argument involves a thought experiment: imagine that there is a small groups of extraterrestrials (“E.T. and his friends”) who clearly are rational moral agents. They too have the cognitive and moral capacities that Cohen claims that human beings have, “essentially.” But, these extraterrestrials are “genetic aberrations” and so being a rational moral agent is neither essential nor even typical of their species, their kind, Regan claims. 1. If the “right kind” premise is true and so “individuals have rights, if and only if, they are the kind of being whose lives will be, have been or remain essentially moral,” then these extraterrestrials do not have moral rights. 2. But these extraterrestrials do have moral rights. 3. Therefore, it is not the case that “individuals have rights, if and only if, they are the kind of being whose lives will be, have been or remain essentially moral,” and so the “right-kind” premise is false. Premise 2 seems true since these extraterrestrials are just like human beings, in their rational-emotive-moral capacities, except they are not biologically human. Denying premise 2 would be extreme speciesism. Regan thinks that 1 is true because, since these extraterrestrials are genetic aberrations, their “kind” is not essentially moral. Since E.T. and his friends have rights even though they are not of an essentially moral kind the “right kind” premise is false: the premise claims that a necessary condition for having rights is being the “right kind,” but that is not so, as the case shows. This objection succeeds only if the right “kind” is determined solely by the species that the individual is a member of. But why think that? The notion of a “kind,” intuitively, is flexible enough to allow that E.T. is of a kind of being, or is a kind of being, that is a moral agent, since he is a moral agent. We might say that, in terms of his species, he is not of a “kind” that’s a rational moral agent, since that’s not typical or normal for his species, but that he is of the “kind” moral agent nevertheless. After all, if we asked which “kind” or “kinds” of beings are moral agents, E.T. and his friends should be on the list. Why not? Cohen provides no reason to deny this. If E.T. is of the, or a, “right kind,” however, Regan’s argument does not show that the right kind premise is false: the case could even be taken as evidence in favor of the “right kind” premise. Individuals have rights, if and only if, they are of a species whose lives will be, have been or remain essentially moral. A premise like this presumes that general properties can be had by a species: insofar as claims like “humans are bipedal” and “Homo sapiens is a bipedal species” make sense, a premise like this is, at least, coherent. But Regan’s E.T. case seems to shows that this premise is false, insofar as it claims a necessary condition for rights: E.T. has rights even if he is not of a species that is “essentially moral.” So, if this were Cohen’s intended premise, it is false. Individuals have rights if they are of a species whose lives will be, have been or remain essentially moral. 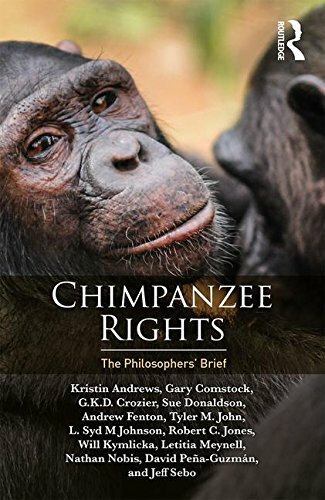 But this premise, offering a sufficient condition for rights, leaves open the possibility for moral rights for beings not of essentially moral species: it doesn’t imply that animals lack rights. This was explained above, in section III concerning Regan’s first objection. To return to Regan’s argument above, it is sound only if E.T. is not of the “right kind,” and the right kind is set by species. Regan seems to assume that, at least for purposes of interpreting Cohen, the right kind is species, but there is no reason to assume this, and there are reasons to deny this, insofar as rational human beings and E.T. are of a same kind, such as “moral agent.” The E.T. case shows that the “right-kind-as-set-by-species-premise” is false, but perhaps Cohen would agree with that, since E.T. is a rational moral agent. 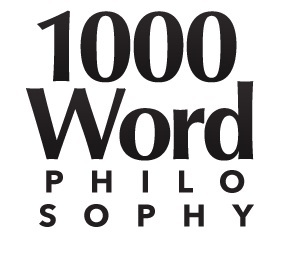 To try to show that the “right kind” premise is false, and/or argue that it is false that all human beings are of the “right kind” and not animals are of the “right kind,” we must think more even more deeply about kinds and what reasons might be given in favor of the “right kind” premise and the premises that humans are, and animals are not, the right kind. The final relevant discussion from Regan, at least that I could find, is from his 1999 “Putting People in Their Place,” in his Defending Animal Rights. Although he does not directly address “kind” arguments, he discusses a view that “persons,” i.e., rational and autonomous beings, have rights because they are rational and autonomous, and only persons have rights. This view, of course, has dim moral implications for animals as well as human beings who are not persons according to this definition, e.g., babies and severely mentally challenged individuals. Advocates of this view sometimes respond by claiming that these human beings have rights because of their potential to be rational and autonomous, or because (concerning many babies) they will become rational and autonomous. This is very close to saying that they are of the “right kind,” since, as we saw above in Regan’s interpretation of Cohen, Regan explains how non-rational human beings might be said to be of the kind “moral agent” by referencing their potential for agency and, in many cases, their future agency. Regan has two responses to the view that human non-persons have rights in virtue of their potential or their actual future rationality. His second response (which does not address “kind”-related claims) is to observe that some severely disabled human beings will not become rational, autonomous moral agents and even lack the potential to do so: a doctor might truthfully say of a severely disabled baby that he or she will never become rational, lacks the potential for rationality, cannot become rational, that rationality is not a possibility and so on. If actual, potential or future rationality is needed for rights, then these human beings lack rights. Regan responds, however, that children like these, insofar as they can be the “subject of a life that fares well or ill for them,” have basic moral rights. He concludes that potential or future rationality is not logically necessary for having rights. Regan’s initial objection to the view that potential or future rationality is sufficient for rights, however, is more interesting. He observes that this premise, as well as a broader “kind” premise that might encompass human beings who are subjects of lives but lack the potential for moral agency (the subject of Regan’s previous objection), seems to imply that human embryos and fetuses have moral rights. As biologically human organisms or beings, they have the potential to be moral agents, many of them will become moral agents, and it seems to make sense to say that they are the “kind” of being that is a moral agent: we might say a human embryo is that “kind” of being, but a squirrel embryo is not. If having this potential, or being of this “kind,” is sufficient for having moral rights, then embryos and fetuses would seem to have rights, and embryo research and abortion would seem to be prima facie wrong. 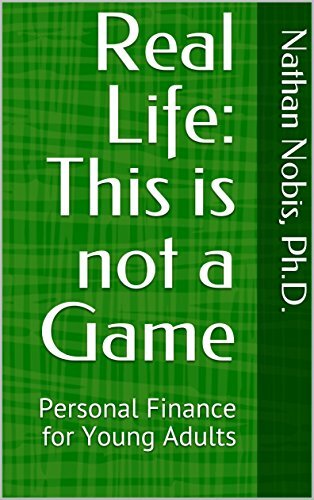 Although there are complicating factors, the same could perhaps be argued about human euthanasia or physician assisted suicide, even if voluntary or non-voluntary (i.e., not involuntary), since the dying person is the “kind” of being who is a moral agent and so has rights. Regan’s response here is to observe that many, perhaps most, people who try to grant non-rational human beings rights by appealing to their potential and/or “kind” “characteristically wish to disassociate themselves from the view that routinely permitting elective abortion is wrong.” So, Regan observes an inconsistency: people who argue that individual beings who are the “kind” of beings who are moral agents have moral rights often don’t realize that fetuses are this “kind” of being also, and these people often believe that fetuses do not have rights. “Kind” arguments are often developed in the contexts of trying to evade the pro-animal implications of a moral hypothesis like Regan’s “subject of a life” theory of rights. But the “kind” premise, often developed to avoid the conclusion that animals have rights, seems to have the implication that abortion is wrong, which many advocates of the “kind” premise don’t believe. Regan does not reveal his views on fetal rights and the morality of abortion: he only observes that the “kind” premise seems to have implications for abortion that many of its advocates don’t accept. It is understandable that Regan would want to avoid making any claims about the morality of abortion: it’s a distraction from the animal issues and his views on abortion, whatever they may be, could be taken (rightfully or wrongfully) as evidence against his arguments about animals. But to successfully argue that the “kind premise” is false, not merely inconsistent (or at least in possible tension) with many people’s views about abortion, Regan may have to evaluate “kind” premises in terms of their implications for other moral issues. This may require addressing abortion and some other controversial moral issues, beyond animal rights. This can be done in more and less controversial ways, however. The more controversial way would be to argue that embryos and early fetuses, as well as near- certainly permanently comatose (or similar) individuals, lack rights. Regan could argue that the latter lack conscious experience and any realistic potential for its return, and so cannot be harmed by death, and so they lack the right to life (since the right to life is to protect against the harm of death); and embryos and fetuses have not had conscious experience yet, and so cannot be made worse off, and thus have no need for rights to protect them from death, which would not (yet) harm them. Since the “kind premise” falsely implies that these human beings, i.e., biologically human organisms, have rights, but they don’t, the premise is false. This strategy would require that Regan close the question of whether being a subject of a life (or at least conscious and sentient) is not just sufficient, but also necessary, for having rights. This strategy, of course, does require stating a conclusion on these other moral issues. For those who accept these “liberal” conclusions on these issues, however, their understanding this objection to the “kind” argument may give them reason to be more receptive to arguments for animal rights. A less controversial strategy would be to argue either that there is no good reason to believe that the “kind premise” is true or, perhaps, to argue that it is false. This can be done, fortunately, without taking a position on the morality of abortion or euthanasia. This would be to argue that, e.g., even if abortion is wrong, the “kind” premise supplies a poor reason to believe that: it is a premise of a bad argument for the conclusion that abortion is wrong. Showing that the “kind” premise fails concerning other bioethical issues can be important to showing how it fails for moral arguments about animals. Individuals have rights if they are the kind of being whose lives will be, have been or remain essentially moral or have the potential for that. (2) Human non-moral agents are the same “kind” of being as human moral agents. (3) Human non-moral agents have rights because of what “kind” they are, the same “kind” of being that the moral agents are. (4) For every Non rational human, if N is the same “kind” of being as Moral agents, and M has the property of Agency, and property A result in Rights, then each N has R.
(5) For every Non rational human, if N is the same “kind” of being as M, and M has the property of A, and property A result in R, then each N has R.
four-limbed, bipedal, able to see, able to walk, able to tell jokes, able to do basic math, able to be responsible, able to be autonomous, (recalling Regan’s observations) have “intellectual curiosity, aesthetic preference and long-term plans about their futures,” and much else that is true of their – i.e., our – kind, including capacities for evil and criminal wrongdoing. Many of these other truths about our kind M, however, imply other properties A and R, but non-rational human beings clearly lack A or R. For examples, even though non-rational human beings are the “kind” of being that is autonomous and self-directing, it would be wrong to let non-rational human beings make all the decisions about their own lives that we allow adults to make: they lack those rights. And although non-rational human beings are the “kind” of beings that can walk and see, and being able to walk and see results in other abilities (and some rights too), non-rational human beings who cannot walk or see lack those other abilities and rights. In these cases, and many more, we either deem irrelevant these human beings being the same “kind” as moral agents, since it would be deeply wrong to treat them as moral agents are treated. What’s relevant to how they are treated is that they are as individuals or that they are also of another “kind,” namely something like Regan’s “subjects of lives” (we can either say that they are of the kind “subjects of lives,” or simply that they are subjects of lives: the former addition of “kind” seems to ad nothing to the explanation). If it is said that these human beings deserve respect because they are subjects of lives and they are the kind “moral agent,” it is unclear what this latter condition adds. These examples show that, in general, being of an M kind does not always result in any related A or R properties: (5), as a generalization, then, is false. Other examples could surely be developed to confirm that being of a particular “kind” does not, in general, result in having more particular properties or capacities or even rights that result from being of that kind. This supports thinking that, at least, there is no good reason to believe (4). Accepting (4) is analogous to believing that potential persons have the rights of actual persons (because they are potential persons), even though potential doctors, judges, presidents, parents, spouses and on and on lack the rights of actual doctors, presidents, and so on. Since potential never results in rights in any other cases, there is no reason to believe it does in the case of personhood. Since, as a matter of bold conjecture, (5) is false with any other M, A and R kinds and properties, there is no good reason believe that (4), as a more particular version of the premise, is true. It could be true, just as it could be true that potential personhood results in the rights of actual persons, but unless and until any good reasons are given to believe this (and none have been given), premises like this should not be believed: perhaps they should be even judged as false. Someone might just insist that (4) is true, but unless he or she has any good reasons to offer in support of this insistence, we shouldn’t agree. What this all shows is that “kind arguments” for the rights of non-moral agents human beings fail at their major premise: even though all human beings, or human organisms, can be described as the “kind” of beings who or that are moral agents, there is no good reason to believe that each individual human being has the moral properties, such as moral rights, that result from being that “kind.” These arguments fail whether these biologically human beings or organisms are born or unborn, with genuine potential for moral agency or not (due to damage or an impending death). People who believe that abortion and/or euthanasia are wrong can accept this: Regan need not challenge these conclusions. However, to rationally retain these conclusions, they would need to be held on the basis of reasons other than a “kind” argument. Their seeing that “kind arguments” provide an inadequate defense for rights for vulnerable, non-moral-agent human beings can help them see that “kind arguments” provide no good reason to believe that animals lack rights. Cohen’s “kind arguments” are influential insofar as they are version of what is often called “The Argument from Marginal Cases,” that is, most simply, the claim that since human beings with mental and emotional lives similar to many animals’ mental and emotional lives have moral rights, so do many animals. · What “kind” of beings are human beings who are rational moral agents? · What “kind” of beings are human beings who are not rational or moral agents? · What “kind” of beings are non-human animals? · What exactly is a “kind”? · How many “kinds” are each individuals? · Are humans and animals of different “kinds”? · Are rational humans and non-rational humans of some different “kinds”? · Are different animals of some of the same, and some different, “kinds”? · Are humans and animals some of the same “kinds”? · What kinds are morally relevant, or most morally relevant? · When, how, and why exactly, do individuals of one kind gain properties of other individuals who are of the same kind, yet are very different? “You say that humans who are moral agents and humans who are not moral agents are the same “kind” of being, namely “moral agents.” Some humans are moral agents and have rights because they are moral agents. Since human beings who are not moral agents are of the same “kind,” that is, since they are of the same “kind” species, these non-moral-agent human beings have rights. Correct? Identifying what, if anything, has gone wrong with this “kind argument” for animal rights requires careful and well-reasoned answers to the bulleted questions above. Rigorously pursuing these questions, standing on Tom Regan’s “philosophical shoulders,” so to speak, is what must be done if we are to either confirm Regan’s theory that our being “subjects of lives” is what’s most relevant to our moral kind, or to rationally refute his view, with intellectual and moral integrity. Only time will tell, but I hope, and I believe with good reason, that this paper will contribute to the former end, surely a kinder conclusion, for humans and, especially, for animals. See, among other writings, Carl Cohen’s contribution to his and Regan’s The Animal Rights Debate (Rowman and Littlefield, 2001 and his “The Case for the Use of Animals in Biomedical Research,” New England Journal of Medicine 315: 865-870, October 2, 1986. Scott Wilson mentions Cohen in his “The Species-Norm Account of Moral Status,” Between the Species: An Electronic Journal for the Study of Philosophy and Animals, 5 (2005) but does not discuss Cohen’s arguments because, according to Wilson, Cohen “does not offer any argument for the claim that the moral status of a being depends on what is normal for her species [Wilson’s interpretation of Cohen’s relevant “kind”]; rather, he merely asserts that this is so” (p. 29, note 11). The Animal Rights Debate, p. 277; Animal Rights, Human Wrongs, p.111. Animal Rights, Human Wrongs, p. 110. This is the only objection to the “kind” argument in Animal Rights, Human Wrongs. It is also found in The Animal Rights Debate. Animal Rights, Human Wrongs, p. 111, emphasis mine; The Animal Rights Debate, pp. 277-278. The Animal Rights Debate, pp. 278-279. Regan’s paper was presented in 1997. This example is similar to Jeff McMahan’s “superchimp” example, developed in his much discussed 1996 article “Cognitive Disability, Misfortune and Justice,” Philosophy and Public Affairs, Vol. 25, No, 1, 3-35. Neil Levy offers a premise like this in his “Cohen and Kinds: a Response to Nathan Nobis,” Journal of Applied Philosophy 21.2 (2004): 213-217. He suggests that species membership is the only morally relevant “kind” for rights, that is, that an individual has rights if, and only if, that individual is of the species that has, e.g., moral agency as a defining capacity. Below I argue that such a principle is false, if embryos and early, pre-conscious fetuses lack rights and some biologically alive, but non-conscious, individuals in end of life cases lack rights such as a right to life: basically, not all properties had by humans from being of a “kind” of being are had by all individual human beings. If we, human beings, and E.T. here can be considered the same “kind,” then it seems that we, human beings, and many animals (or all animals) can be considered the same “kind” also: e.g., the kinds “subjects of lives,” or “conscious, sentient beings,” “living beings,” “things found on Earth,” “existing things,” and on and an, all of which are “natural kinds,” as opposed to arbitrary, “unnatural” groupings: e.g., things that fit in a breadbox or are light blue. I discuss the relevance of this below. “Putting People in Their Place,” in Defending Animal Rights, p. 98. Peter Markie claims that the relevant “potential” for these non-rational humans (who lack the medical potential to become rational moral agents) is defined by the “deﬁning characteristics of [a species’] fully developed members” (p. 41): so, in response to the physician who truthfully claims a disabled infant has no potential for rationality, Markie apparently might think that this fact is less relevant to what should be done here than facts about what normal, developed members of the species are like. Mackie claims that these human being’s “potential” ought to be respected and so treated as if they have rights (but animals, since they lack this potential, need not be treated as if they have rights). Concerning fetuses, he denies the relevance of their potential by claiming, without argument, that only “subjects” (i.e., conscious beings) have rights (p. 45). It is highly unclear, at least to me, what reasons, if any, Markie gives for any of his views here, however: he seems to repeatedly insist that non-rational humans ought to be treated as if they had rights, but his support of this claim is not clear. See his “Respect for people and animals.” The Journal of Value Inquiry 38.1 (2004): 33-47. Francis Beckwith develops an argument against abortion appealing to a premise like this in his Defending Life: A Moral and Legal Case Against Abortion Choice. Cambridge: Cambridge University Press, 2007. I respond in my “Abortion, Metaphysics and Morality: A Review of Francis Beckwith’s Defending Life: A Moral and Legal Case Against Abortion Choice.” Journal of Medicine and Philosophy 36.3 (2011): 261-273. Robert George and Christopher Tollefsen offer similar arguments in their Embryo: A Defense of Human Life. Random House Digital, Inc., 2008. 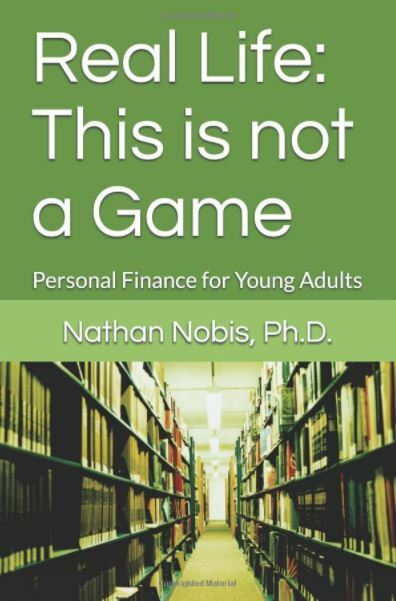 I offer an (unpublished) critical review of that book off my webpage. A complication results from thinking that moral rights are prima facie, or impose prima facie obligations, and are so overrideable in special cases. One could thereby maintain that embryos, fetuses and/or the permanently comatose actually have rights, e.g., the right to life, but that their rights are overridden or defeated by the circumstances and special features of the case, and so the prima facie obligation to not harm or kill is no longer in force. Alternatively, and more plausibly, one could believe that these individuals simply do not have rights: they have yet to gain the properties that result in their having rights or they have lost these properties. In Body and Soul: Human Nature and the Crisis in Ethics (Intervarsity Press, 2000), J.P. Moreland and Scott Rae develop a position similar to what was mentioned above, as well as Beckwith’s (and Cohen’s), and apply it to euthanasia, as well as abortion and number of other issues. They argue that PVS patients, who are irreversibly unconscious, are persons with all the moral rights of persons due to their “essential nature” (p. 335). Nevertheless, they claim it can be permissible to let such persons with rights die when treatment is futile. However, they reject arguments that it’s permissible to let such patients die because they are no longer persons and/or have lost the properties that result in their having moral rights. Whether arguments like Beckwith’s, Moreland’s and Rae’s could be developed to reinforce arguments like Cohen’s, and vice versa, is a topic worthy of attention. Thomson, Judith Jarvis. “A Defense of Abortion.” Philosophy & Public Affairs 1.1 (1971): 47-66. I develop this view in my response to Beckwith, cited above. For a similar premise, see an article by Matthew Liao, originally titled, “Virtually All Human Beings as Rightholders: The Species-Norm Account,” published as “The Basis of Human Moral Status,” Journal of Moral Philosophy, Volume 7, Issue 2, pages 159 – 179. Liao offers a “species-norm” theory of rights, that if something has the genetic or physical basis for moral agency (assuming there is such a thing or things), then that something has basic moral rights. Liao’s “aim is to set out this account clearly rather than to defend it” (abstract), so he does not really argue in its favor; my reply to this view is that in no other case does merely having the genetic or physical basis for doing or being Y does that result in that someone the rights of someone who really does or has Y, and so Liao’s proposal is ad hoc. For another reply, see Christopher Grau, “Moral Status, Speciesism, and Liao's Genetic Account,” Journal of Moral Philosophy 7 (2010): 387-396. For Liao’s response to Grau, see “The Genetic Account of Moral Status: A Defense,” Journal of Moral Philosophy 9(2) 2012: 265-277. Regan, The Animal Rights Debate, pp. 278-279. I am grateful to Dan Hooley for discussion of these issues. Someone might insist that having rights is an “essential property” of our “kind.” In David Boonin’s A Defense of Abortion (Cambridge, 2002) he discusses what he calls “essential property arguments” in favor of fetal rights (pp. 49-55). He observes that “there are many rights that we believe we possess at some stages in our lives and not at others” (p. 55) and so merely being of the same “kind” is insufficient reason to believe that human beings always have some particular moral properties or they are essential to human organisms. Daniel Dombrowski, Babies and Beasts: The Argument from Marginal Cases (University of Illinois, 1997). Arguments in this section are related to earlier arguments I developed in my “Carl Cohen's ‘Kind’ Arguments For Animal Rights and Against Human Rights,” Journal of Applied Philosophy, vol. 21, no. 1, pp. 43-59, 2004. Further discussion will be found in my “Coulda, Woulda, Shoulda: Modal Moral Arguments,” with Devon Belcher, in progress.